With a new year comes new guidelines and hopefully I can help you in understanding the difference in guidelines for mortgage part of bankruptcy between Conventional Loans (Fannie Mae and Freddie Mac) and FHA Loans (HUD). Let’s start with Fannie Mae and Freddie Mac shall we? These two have much looser mortgage lending guidelines when it comes to the actual recorded date of the the foreclosure when it is a mortgage as part of bankruptcy and qualifying for a new conventional mortgage after the mandatory waiting period. Do not worry if you do have a bankruptcy and/or foreclosure on your history as all mortgage programs have mandatory waiting periods after bankruptcy and foreclosure, and you WILL be able to purchase a home again. However, there are different guidelines and we will go over these changes in the paragraphs below. Fannie Mae and Freddie Mac are the two government-sponsored enterprises (GSE) that govern and set standards for conforming mortgage loans otherwise known as conventional loans. If you had a mortgage and/or mortgages as part of your Chapter 7 Bankruptcy (also know as debt liquidation where liens are released), the waiting period to qualify for a conventional loan is four years from the discharge date of your Chapter 7 Bankruptcy. 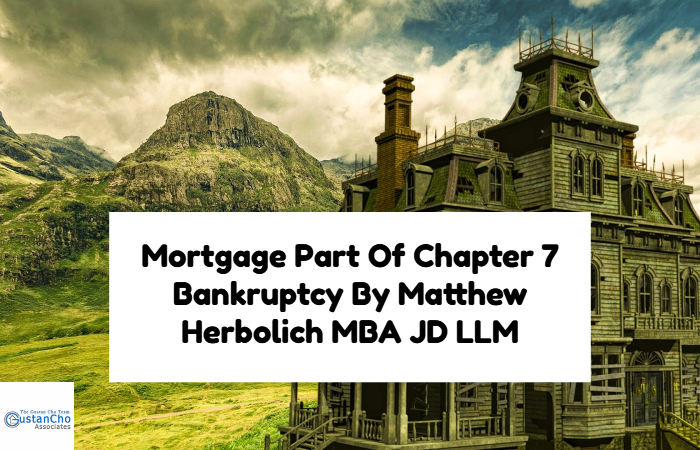 As long as the mortgage was part of the Chapter 7 Bankruptcy, the four year waiting period begins from the discharge date of the Chapter 7 Bankruptcy. With regards to conventional loans, the foreclosure can be recorded at a later date and it does not affect the wait time. With regards to FHA, if you have had a mortgage as part of your Chapter 7 Bankruptcy, the mandatory waiting period to qualify for an FHA loan is three years from the recorded date of the FORECLOSURE. Even though this mortgage may have been part of your Chapter 7 Bankruptcy, the discharge date of the bankruptcy means nothing as it all resides on the date of the foreclosure. This could pose a problem because a foreclosure may happen over a year after the bankruptcy has been discharged. The other way to speed up this process is to be diligent after the bankruptcy discharge date to make sure that the mortgage lender gets their name out of the deed of the home as soon as possible. Just because you have gone through some tough times and have a bankruptcy and/or foreclosure on your history it is still possible as a home buyer to now qualify. These days, mortgage lenders understand that borrowers can go through some difficult periods in their lives resulting in bad credit from unemployment, business loss, divorce, or even medical issues. Speaking first hand, bankruptcies and foreclosures can happen to the best of us due to some extenuating circumstances. Even though it is possible to obtain a mortgage after bankruptcy and foreclosure, lenders are going to want to see you have been re-establishing your credit and have been timely with your payments in recent history. In closing, just beware that even if Fannie Mae, Freddie Max, and FHA have guidelines that can qualify you to get into a home after bankruptcy and foreclosure doesn’t mean your lender is going to abide by these rules. Due to mortgage overlays (lender imposed guidelines in addition to Fannie, Freddie, and FHA) you still may not qualify for a loan as they may still require 7 year waiting period after bankruptcy and foreclosure. If you run into this situation and do not qualify at a different lender, please contact me at www.loanconsultants.org, 888-900-1020. We don’t have any lender overlays and can get you approved. Please don’t hesitate to call any time as we are available 24-7-365!